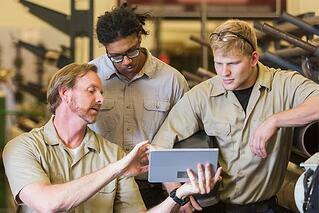 Is Fleet Maintenance Software Right for You? Repairs and maintenance account for an average of 9% of total fleet costs, and a full 60% of trucking companies are still using manual processes to track fleet maintenance—if they are tracking it at all. Whether you’ve given it much thought or not, chances are good that you could benefit from fleet maintenance software. Many small fleets ignore non-critical maintenance and simply hope to avoid compliance-related fines and costly breakdowns. Larger fleets are more likely to use some sort of maintenance software. However, in both cases, opportunities to reduce costs and risks are being missed. 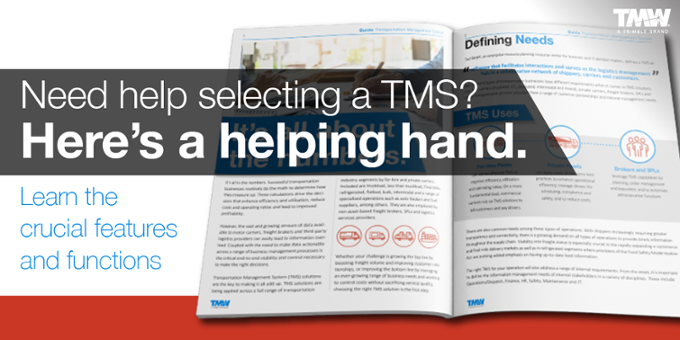 Fleets with more than 150 assets have historically been the key adopters of solutions like our TMT Fleet Maintenance software, which integrates with almost any other fleet management system on the market. Now, fleets with fewer than 150 trucks or pieces of equipment can benefit, too. Subscription-based solution, TMW FleetCheck, features affordable, rapid implementation and operates based on expert analysis of fleet needs gathered from years of industry experience. Download our free whitepaper, “20:1 Fleet Maintenance Solutions,” now for help in calculating a modern fleet maintenance IT solution. Whether you outsource all of your maintenance, some of it or maintain all your own vehicles, it allows for easy tracking of key information. You can tap into pre- and post-trip data, as well as fault code, meter and mileage data. Individual vehicle repair histories can also be logged, giving insight into repair frequency, quality and other details. If you conduct your own maintenance, it becomes easier to answer: “Are we repairing trucks efficiently?” “How are we managing our inventory and maintenance schedules?” “Will we have the right parts on hand? Basically you conduct vehicle maintenance because you don’t want to wait until something breaks to make a repair. When you wait, you incur costs to fix the problem and experience losses related to downtime, missed deadlines and--in some cases--fines. Software with predictive maintenance capabilities allows trucking companies to proactively estimate when parts might fail and create maintenance schedules to keep their assets in service and reduce the number of on-the-road citations. No matter how you currently track fleet upkeep, software makes it easy to document work that may be required to maintain your OEM warranties. Additionally, TMW Solutions follows aftermarket warranties on your trucks and individual replacement parts—a taxing endeavor via manual processes. Why Fleet Maintenance Software Now? Right now is a great time to think about how your fleet could be more proactively and cost-effectively maintained. If you haven’t used this type of software in the past, but you’re at a tipping point where manual maintenance logging and scheduling processes no longer make sense, consider whether our fleet maintenance software could boost your bottom line, regulatory compliance and peace of mind. If you’ve operated a large fleet for some time, but don’t use asset maintenance software, consider if you could get more out of your capital and lifecycle investments with a comprehensive view of maintenance operations. In either case, the opportunity to improve your efficiency with better data access and analytics is here. Remember to download our free whitepaper, “20:1 Fleet Maintenance Solutions,” it’s yours today for help in calculating a modern fleet maintenance IT solution. Have questions about TMW’s fleet maintenance options? Feel free to reach out and start a discussion. We’re here to help you win. And don’t forget to subscribe to our blog today. You’ll receive one weekly update in your inbox.